Paul Castellano (born as Constantino P. Castellano in Brooklyn, New York City, New York, U.S., died in Manhattan, New York City, New York, U.S.) was a famous Criminal from USA, who lived between June 20, 1915 and December 16, 1985. He became 70 years old. Constantino Paul "Big Paul" Castellano, better known as Paul Castellano (or PC among his family), was a mafia boss in New York. 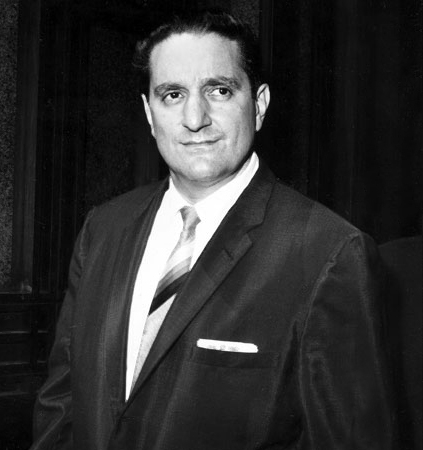 Castellano belonged Gambino crime family, one of New York's five biggest crime families, who at the time was leaded by Carlo Gambino. He is born under the zodiac gemini, who is known for Communication, Indecision, Inquisitive, Intelligent, Changeable. Our collection contains 3 quotes who is written / told by Paul. "There are certain promises you make that are more sacred than anything that happens in a court of law, I don't care how many Bibles you put your hand on"
"We're not children here. The law is-how should I put it? A convenience. Or a convenience for some people, and an inconvenience for other people"
"This life of ours, this is a wonderful life. If you can get through life like this and get away with it, hey that's great. But it's very predictable. There's so many ways you can screw it up"